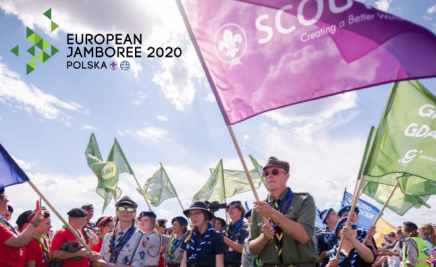 The organisers of the European Jamboree 2020 ACT are pleased to share with you EJ2020 Circular 1/2019. The Circular contains useful practicalities about the second Heads of Contigent Meeting taking place on the Island of Wonders (Sobieszewo Island, near Gdańsk, Poland) from 14-16 June 2019. You will also find information about the registration and payments. The meeting will be a great opportunity for you to get the most up-to-date information about the European Jamboree 2020 ACT preparation and to meet the Jamboree Planning Team and other Heads of Contingent. The EJ2020 Team is looking forward to meet you all on Sobieszewo Island this coming June!